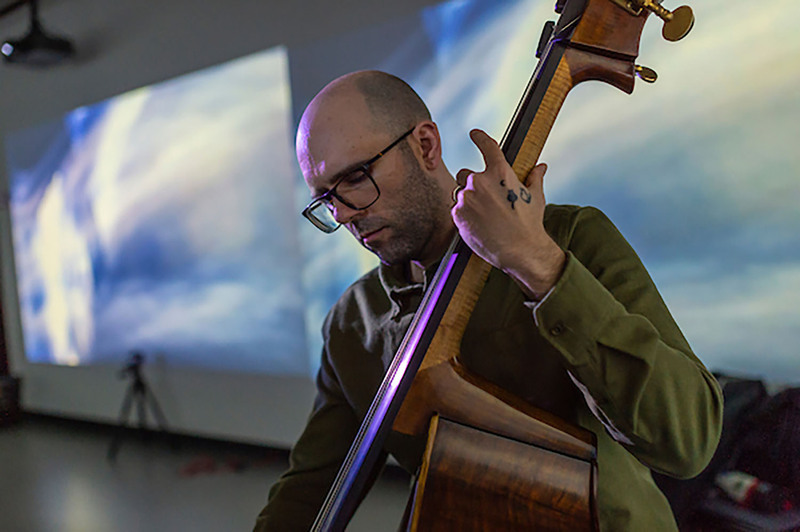 Paul Catanese, hybrid media artist from Chicago and this year’s Christian A. Johnson Endeavor Foundation Artist-in-Residence, recently completed a slate of technical workshops, open rehearsals, video shoots, and class visits as part of his residency at Colgate. 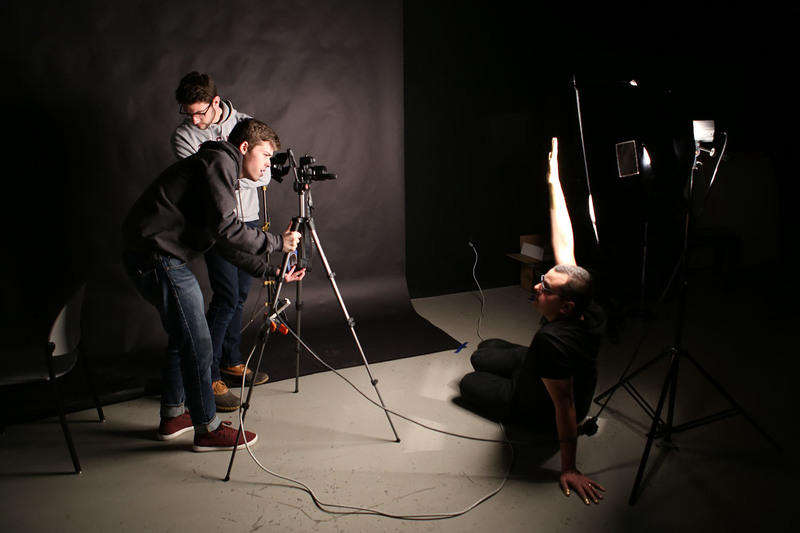 The residency will culminate in a series of performances of his cross-disciplinary opera: Century of Progress/Sleep, to be staged in the Ho Tung Visualization Lab in early April. Catanese has been working on the opera for several years and performing it as a solo piece. “I use art as one of many models and methods to think through and understand what it is I’m experiencing,” he said. Catanese envisions the opera as an arc spanning the time period from 1833 to 1933 (the Century of Progress), to our current century and ending in 2034. The opera explores themes of progress and certainty, while interrogating our understanding of truth and the ways human beings have conceived of nature and thought about it. 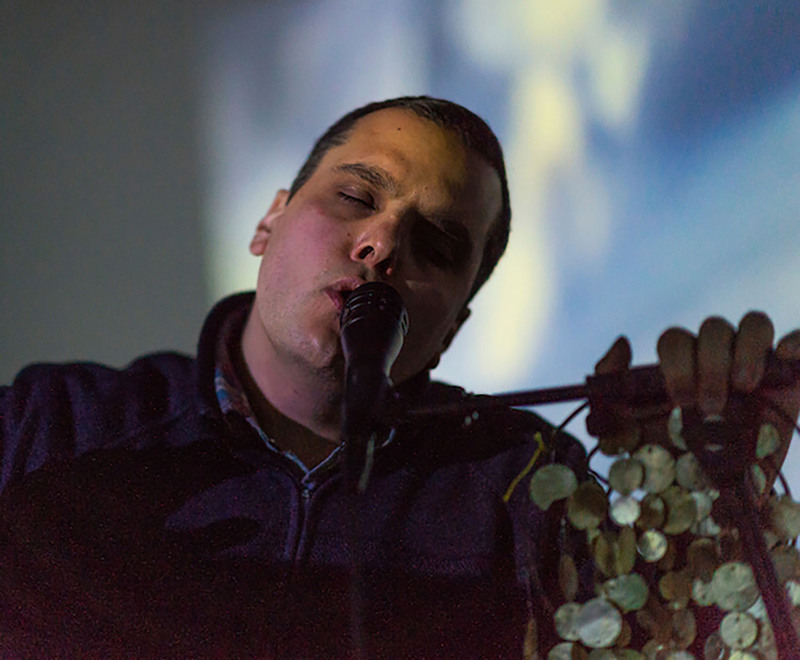 Catanese has been using his residency at Colgate to expand the avant-garde opera from a solo performance to an arrangement for multiple voices and living musicians. 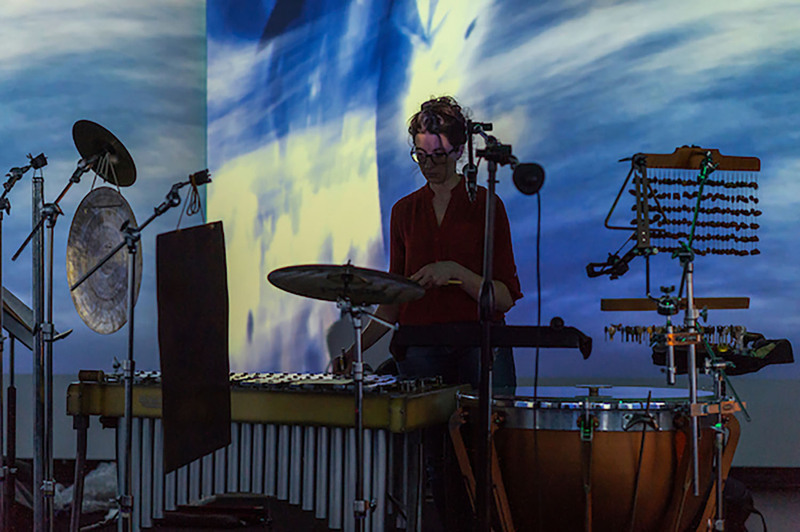 The music is chant-like and slow with electronically processed vocals merging with non-traditional instruments, accompanied by hypnotic cinematography involving manipulations of clouds, light, and fog. The performance in April will feature Catanese (vocals), Gemma Godfrey (synthesizers, vocals), Julie Licata (percussion, vibraphone, timpani, vocals), Evan Runyon (double bass), and Matt Sargent (guitar, lap steel, vocals). Godfrey added that he and his colleagues were enthusiastic about the project because of its interdisciplinary nature. 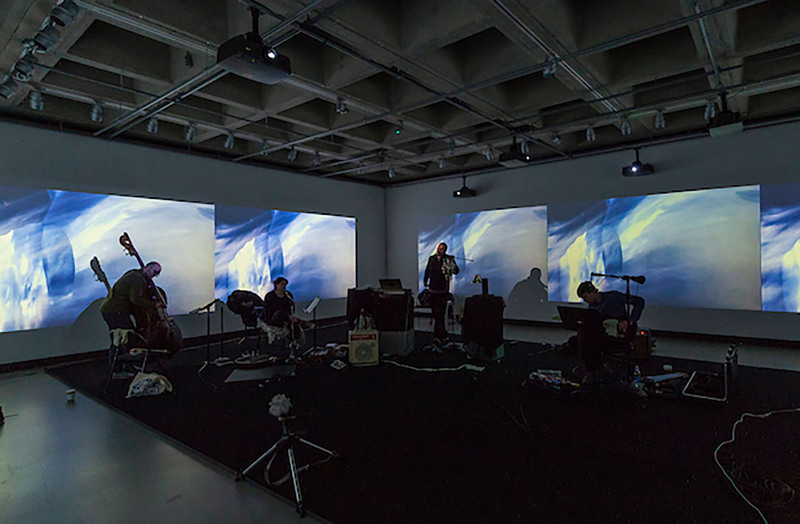 The opera integrates aspects of physics, music, video, and astronomy. “It illustrates how the arts are embedded in the structure of the University,” he said. 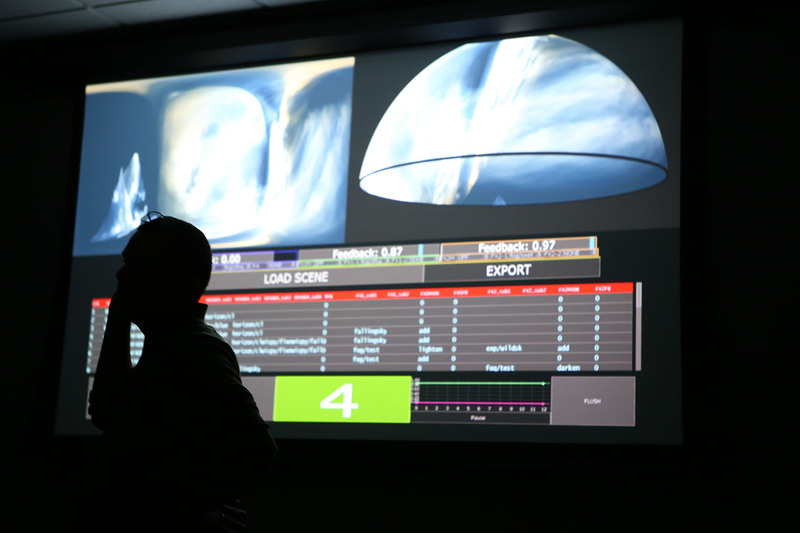 Catanese has been working in close partnership with Joe Eakin, technical director and designer at the vis lab and planetarium, for more than two years to translate his visuals into the dome format. 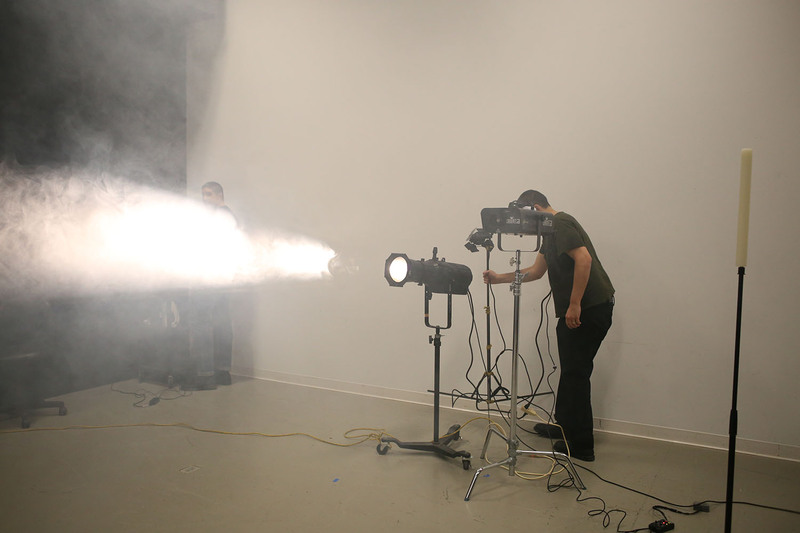 This required several upgrades to the planetarium’s equipment, including a new 360 degree camera, fog machines, and spotlights. 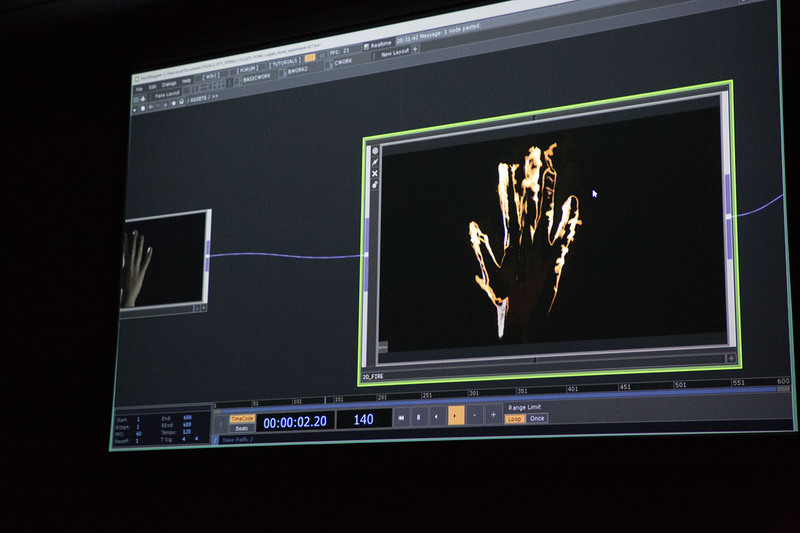 Eakin has recruited several Colgate students to help with documenting the process and the performances, as well as to work behind the scenes manipulating the visuals. He hopes this will bring more collaborations with artists in the future. “For an artist to use the dome as his palette helps to build a bridge between science and the arts,” Eakin added. Catanese’s diverse range of works include installations, performance, printmaking, video, sculptural objects, and projections. He has exhibited internationally, notably at the Whitney Museum of Contemporary Art, the New Museum of Contemporary Art, and SFMOMA Artists Gallery, and is currently the director of graduate study and associate professor of art and art history at Columbia College Chicago. 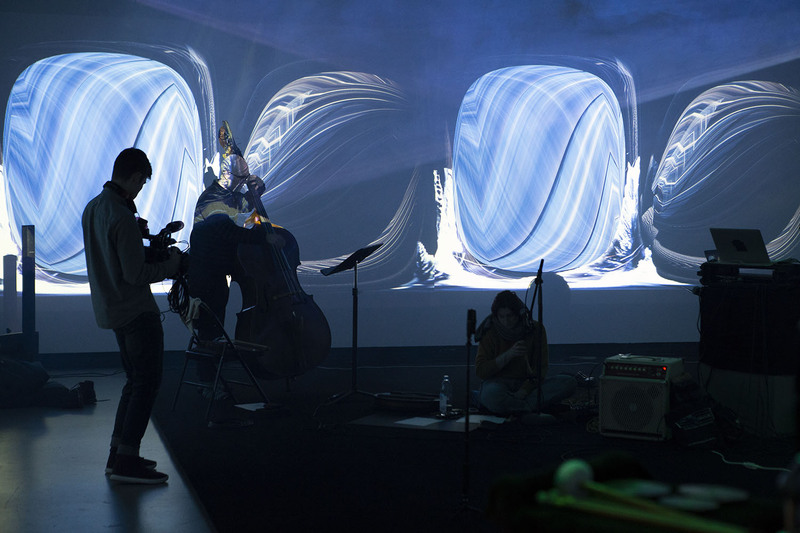 The opera will be performed April 4–6 inside the dome of the Ho Tung Visualization Lab. Space is limited and reservations are required.